Taurine is an amino acid that is found in large amounts in your central nervous system, brain, and other places throughout your body. 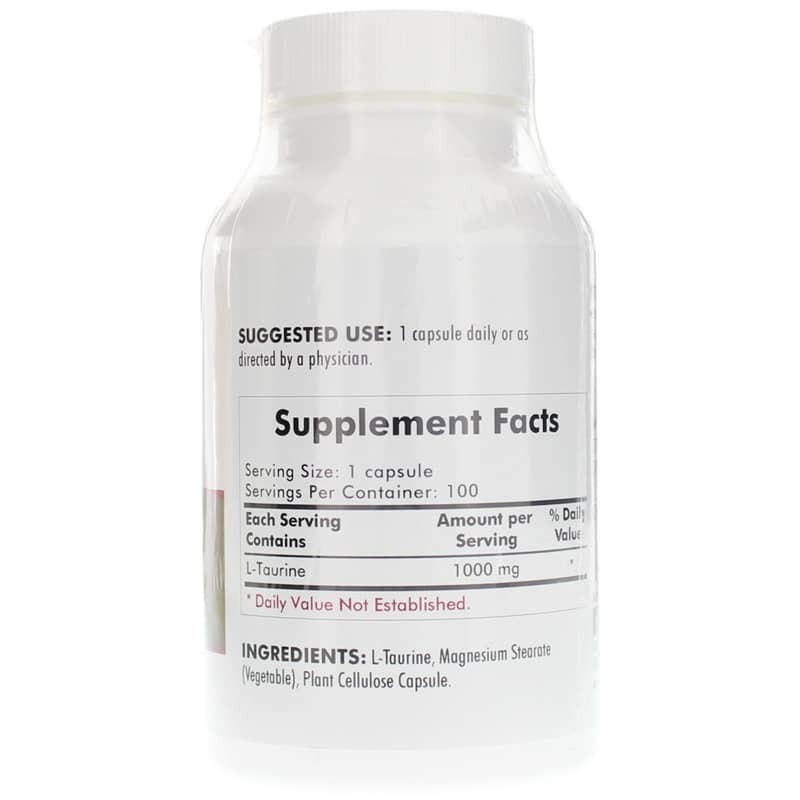 It supports your overall health and wellness in a number of ways, and can be found in supplement form for daily use. 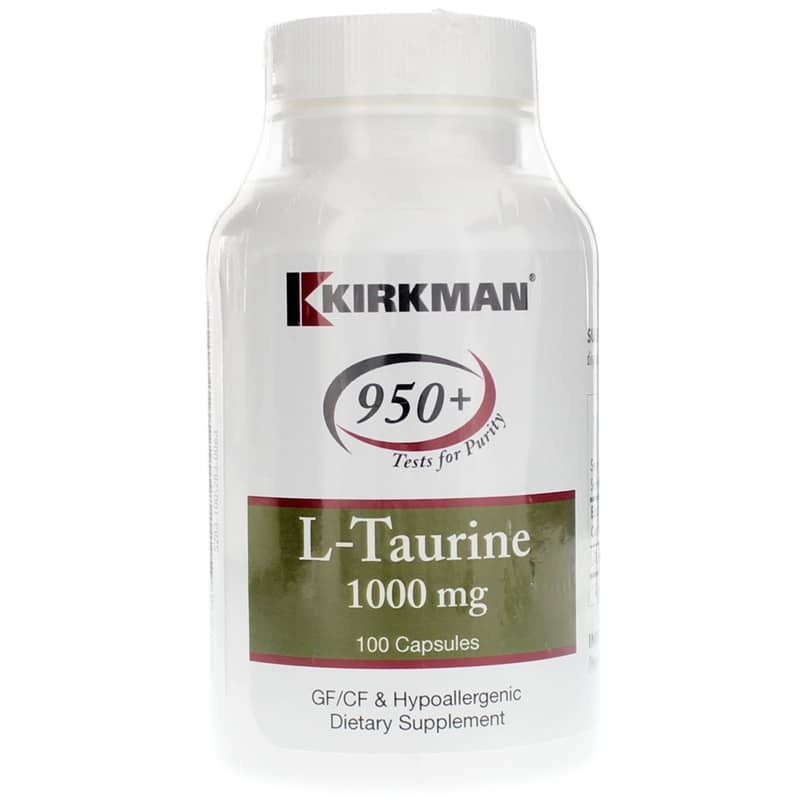 Kirkman offers a product called L-Taurine 1000mg, a professional-grade dietary supplement that supports optimal overall health and wellness on a daily basis. 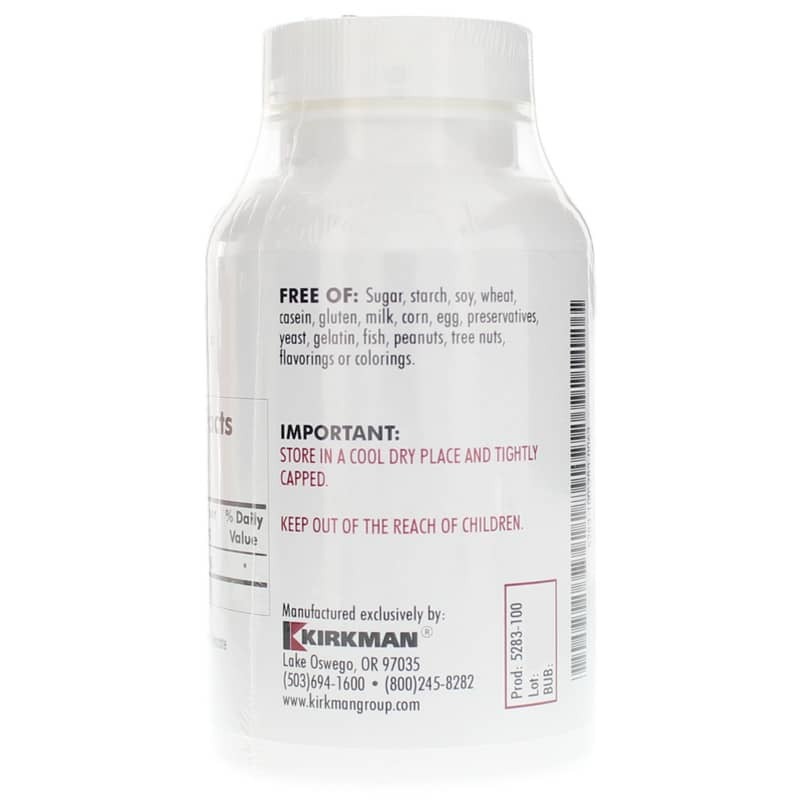 Every batch of L-Taurine 1000mg from Kirkman is manufactured without the use of most common food allergens, including gluten and casein, and never contains preservatives or artificial colors or flavors of any kind. It comes in a hypoallergenic capsule that is made from plant cellulose, and is easy for most adults to swallow. Make the right choice to maintain an optimal level of health. Give L-Taurine 1000mg a try today, and see the difference it may be able to make for you. Order now! Ingredients:L-Taurine, Magnesium Stearate (Vegetable), Plant Cellulose Capsule.